Continuity Strip system is a quick and safe way of achieving a high quality reinforcement connection in a structural concrete joint without formwork damage. 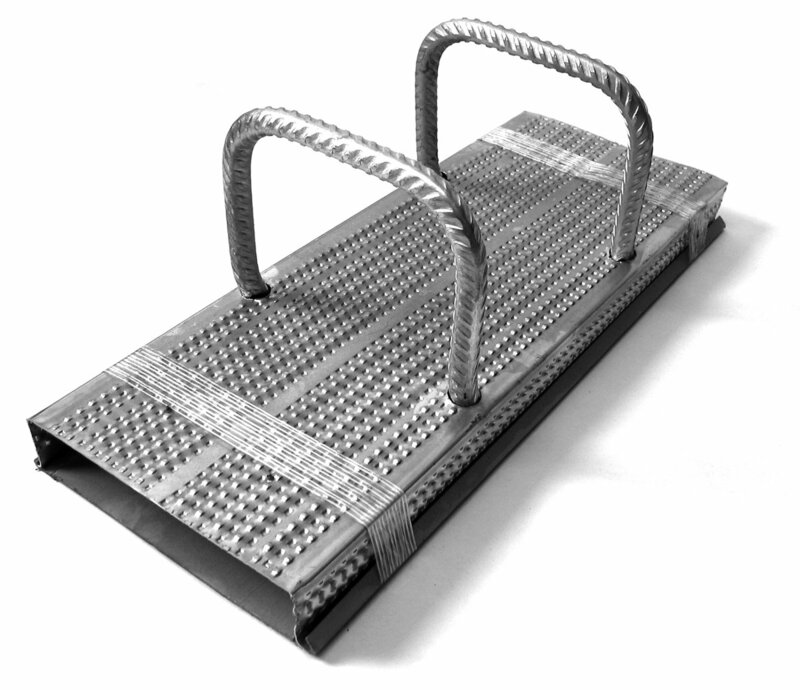 It consists of high yield reinforcement steel conforming to BS4449 housed in a perforated case with a tear-off plastic cover which protects the reinforcement until it is required for use. Continuity Strip is quickly nailed to the formwork. There is no need for time-consuming drilling and cutting of the formwork. The formwork can be easily struck and re-erected thereby reducing intervals between pours. The steel starter bars are housed within their case until ready for use. There are no protruding bars which may corrode or become damaged and present a hazard to workmen. The formwork suffers no damage and therefore may be re-used many times. This contrasts with normal stop-ends which offer only one use. Traditional stop-ends often suffer grout loss.